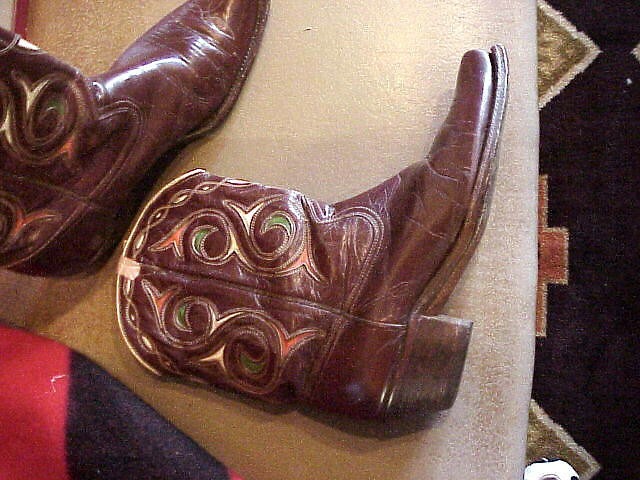 Another great pair of vintage Collectible cowboy boots. Mens are size 9 and the womens are size 7, but they run smaller from this period. Another great pair of vintage Collectible cowboy boots. Mens are size 9 and the womens are size 7, but they run smaller from this period. Please email cowboycabin@centurytel.net with questions or call 406 270-2842.